Slightly pound each chicken breast with a meat mallet. Place chicken pieces in a large bowl with spices and oil and mix it until all chicken breasts coated in oil and spices. Place marinated chicken breasts on an oiled grill and grill for 4 minutes each side. 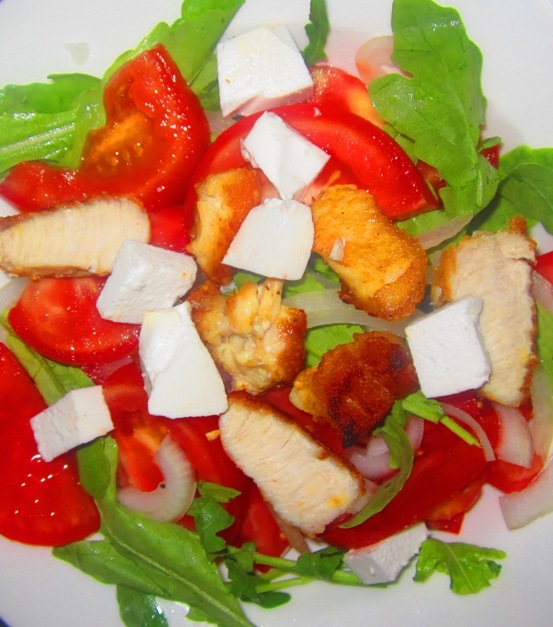 Slice grilled chicken breasts into small cubes. Add all of the Vinaigrette ingredients together into a small bowl and mix well. 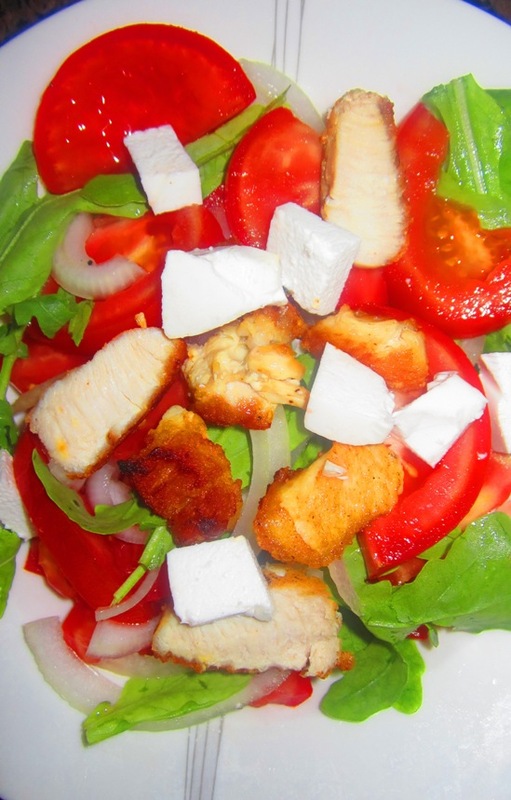 Add all of the salad ingredients to a bowl add the dressing, lightly toss, then taste and adjust seasonings.